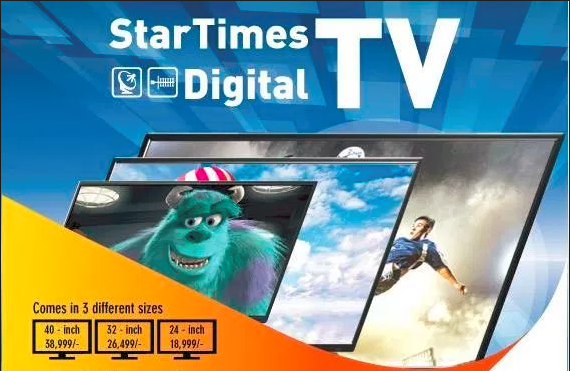 As one of the leading Pay-TV providers in Kenya and Africa, StarTimes Media are moving away from only providing set up boxes to selling Digital TVs that have StarTimes decoders inbuilt in the TV. In this article, we review StarTimes TV in Kenya, it features, specs, available models and provided latest StarTimes TV prices in Kenya. Go Straight To Startimes TV Shop! One of its major selling point is the fact that it comes with inbuilt Startimes decoder. The most common models are the 24 inch, 32 inch and 40 inch display sizes. In early 2018, they introduced the Startimes 55 inch 4K UHD Smart TV. 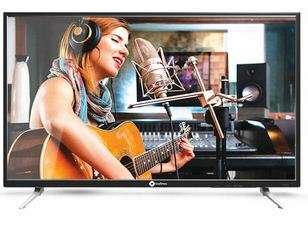 The TV has good quality and great performance just like Sony, Samsung and LG. StarTimes is a Chinese company founded in 1988 as a TV content provider. Its has its headquarters in Beijing, China.Over the years it grew to become a leading Chinese Digital TV network operator. Its global expansion saw it venture into the Africa in 2002 at a time when most African countries had began a shift to Digital broadcasting. It is currently the largest digital operator in Africa with over 10 million subscribers. In Kenya, it began operations in 2009. it has its headquarters and customer service center in Upper Hill, Nairobi. Their TVs are available at StarTimes shops across the country. If you would like the TV delivered to your doorsteps, you can buy it via Jumia TV Page. Startimes TV prices in Kenya are pocket friendly and available in 24 inch, 32 inch and 40 inch display sizes. The company has a vision to enable more Kenyan households access digital TV. Its convenience, accessibility, and affordability promote equality among homeowners, access to information and entertainment. Content offered covers a wide range of categories that meets needs like sports, entertainment, news, religion, fashion, cooking, children programs and local TV channels. With this TV, you can watch both free to air and the pay-tv channels without using an external set-top box. This saves you money to purchase the separate decoder, unnecessary cables not forgetting installation fees. Once you purchase the television, you can enjoy all channels free for two months and in case, you fail to pay for TV, you will continue to enjoy the free to air stations. How many remotes controls do you have your home? There are homes will more than 6 remotes which make entertainment overwhelming. To make it easier for TV fanatics, StarTimes Media Company has reduced the number of remotes to 1 or 2. This is because the TV has an inbuilt digital signal receiver that decodes not only free to air digital signals but also terrestrial and satellite signals. This is a reason enough to buy this TV. Its thinnest point measures 14mm and it looks classy. If you want your friends to be envious of you just install this TV set in your living room. It is also easy to install; you can choose to mount it on the wall or leave it standing stylishly on a table. The power consumption for this TV is 65W per hour which is equivalent to the power consumption of 3 to 5 bulbs used in every household. 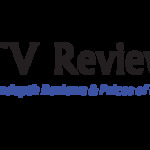 According to several TV review websites, the digital TV enables viewers to save up to 50% energy in television power consumption in comparison to defunct CRT televisions. In addition, the TV runs on an intelligent OS making it able to upgrade the TV either remotely or via USB. This ensures that you will get any updates automatically. Another important feature is multimedia connectivity. It has two HDMI ports that allow you to connect your TV to other components like gaming consoles and Blue-Ray disc player. It also has 2 USB ports where one is used for media playback while the right one is for software upgrades. The TVs have HD resolution (1366X768 pixels) that ensure great picture quality. The screen’s design and lighting are well designed to give enhanced contrast and more crisp colors compared to other TVs. When you look at StarTimes TV prices in Kenya, it is cost effective as you save on money that you would have used when buying a decoder.